The Bordeaux “Super Seconds” is a term you hear about Bordeaux wine producers fairly often. What does it mean? Who are the” Super Second”, Bordeaux wine producers today? In the official 1855 Classification, 62 different Bordeaux Chateaux were classified. The official classification of the Medoc took a combination of factors which included the historic selling price for the wines, along with the quality of the wines to create their rankings. The chateaux were ranked in 5 different categories. They were classified from First Growth to Fifth Growth. The term Super Second Bordeaux had not been coined yet. In fact, the term, Super Second is a modern invention. 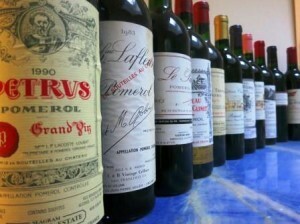 But it works and today, it’s in common usage among Bordeaux wine collectors all over the world. Generally speaking, in terms of quality, that list of Bordeaux wine producer rankings created in 1855, is not that far from how many people would rank those same wines today. When you consider the list is almost 160 years old, the original 1855 Classification is truly an amazing document! Of course some changes are in order based on price and quality in today’s world. There are chateaux that definitely deserve to be demoted. But more importantly, when it comes to the Super Seconds, other Bordeaux wine producers should be promoted. The Bordeaux wines we think of in the rarefied category of Super Second Bordeaux, merit extra consideration. When viewed objectively, considering its age and the numerous changes in how Bordeaux wine is made, the overall results remain very impressive. For a myriad of reasons, many of them political in nature, that list is never going to change. It is etched into history. What if it did change? Would the Super Second Bordeaux ranking come into play? Bordeaux wine lovers came up with an additional term that is often bandied about, Super Second Bordeaux. Super Second Bordeaux wines are Second Growth Bordeaux wines that are almost at the level of quality as the First Growths. They sell for more money than the other Second Growths, but they are not as expensive as the First Growths. What Bordeaux wine producers are considered Super Second Bordeaux wines today? Chateau La Mission Haut Brion Pessac Leognan, belongs at the top of the Super Second Bordeaux producer list. In fact, an argument can be made that La Mission Haut Brion deserves First Growth status. If quality was the sole determining factor as to what wines should be upgraded to First Growth, La Mission Haut Brion would be elevated without question. The high prices paid for the wine place it at the level of the First Growths as well. They have consistently produced wines of First Growth quality for over 100 years! Robert Parker has awarded 100 Pt scores to La Mission Haut Brion 7 times since 1955! The candidates for Super Second Bordeaux status are listed alphabetically below. Each property produces Bordeaux wine of unique character and quality that on occasion competes with, or is even better than the First Growths! While they are all expensive, when compared with the prices being paid for The First Growth’s today, these Super Second Bordeaux wines can be fairly priced. Chateau Pontet Canet … Since 2005, Pontet Canet and Alfred Tesseron have been producing wines at the level of the best, Second Growth wines and in some vintages, the wines of Pontet Canet has been at the level of the First Growths! 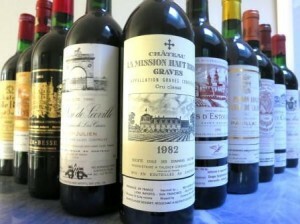 The original classification, with the exception of Chateau Haut Brion, was only concerned with wines from the Medoc; Margaux, Saint Julien, Pauillac and Saint Estephe. If wines from Pomerol and St. Emilion were included, the picture would look very different. The following Right Bank wines deserve to be considered First Growth Bordeaux wines if a reclassification of Bordeaux wine was ever to take place. Continuing on the Super Second theme, as that is what this page is all about, from the Right Bank, there are numerous potential candidates, should a true, reclassification take place. Keep in mind, the wines of St. Emilion are classified. Pomerol does not have any classification. Today, the following wines from Pomerol and Saint Emilion would clearly merit the high level of status of being a Super Second Wine in Bordeaux.